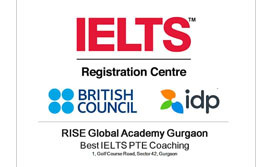 Rise is one of the best IELTS & PTE preparation & coaching institute with a state of the art facility located in Gurgaon, Chandigarh, Delh, India. Standardized Tests Preparation: RISE is the country’s finest institution in preparation of standardized tests such as IELTS, PTE, TOEFL, SAT, GRE, GMAT and OET Preparation. 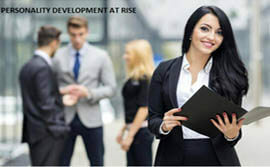 RISE has a unique methodology which is highly customized. We discover your existing preparedness for these tests through diagnostic tests and then take you on a path of success in these tests. The participants are first taken through the orientation on these tests through Presentations. The participants then learn the tips and strategies of scoring high in these tests through lecture based and activity based classes with short practice assignments. 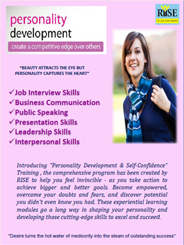 The classes are available in both formats of the training: Classroom Training and Online Training. Usually these tests have standard Question Types, each question type is explained in detail during the training. Once the participants develop basic understanding of solving the question types, they start taking the Mock Tests / Practice Tests to measure their progress. Generally 10 mock tests are sufficient for complete preparedness for the tests but should you feel the need for more practice, RISE helps with another set of 10 mock tests. IELTS Coaching in Gurgaon: IELTS (International English Language Testing System), co-owned by British Council and IDP is by far the most widely accepted test for fulfilling Immigration and Study Abroad requirements. There are two versions of the test: IELTS General and IELTS Academic. 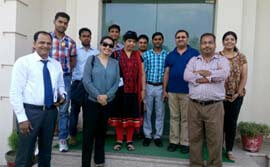 IELTS General is taken to qualify for immigration to Canada, Australia or New Zealand. IELTS Academic is taken to qualify for studying in foreign universities across the globe in countries such as Canada, Australia, US, New Zealand, Europe, Singapore and others. In both the versions, RISE helps you to score the desired band level through best in class trainings provided by RISE. We make sure that you get sufficient classes, assignments with evaluation, workshops and mock tests before your real IELTS test. IELTS for Canada Immigration: The most common need to score is a CLB 9 (Canada Language Benchmark 9). CLB 9 is a score of 8 band in Listening, 7 in Reading, 7 in Writing and 7 in Speaking. Another higher level of scoring in IELTS is CLB 10 which is 8.5 band in Listening, 8 in Reading, 7.5 in Writing and 7.5 in Speaking. CLB 10 gets you a few more points in CRS calculation. In certain cases, a score of CLB 8 (Listening 7.5 and 6.5 each in the rest) could also work for immigration. 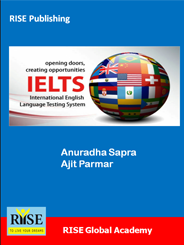 IELTS for Australia Immigration: There are two levels i.e. Proficient English (7 band in each section) and Superior English (8 band in each section). Proficient English allows you to get 10 out of 20 points for immigration whereas Superior English allows you to get 20/20 points. It is pretty difficult to get 8 band in writing section, hence it is advisable to take PTE Academic test for Australia Immigration where scoring 79+ in each section lets you claim 20/20 for immigration and PTE Wrting is relatively easier to score than IELTS Writing. IELTS for Study Abroad: IELTS has the widest acceptance in the most countries and a score of 7-8 band is considered a good score to get an admission in good universities. The students should always try to score as high as possible in IELTS as it makes their university admission application stronger. Key Features of IELTS Coaching by RISE: RISE has the best results in IELTS preparation and consistently helps the students in getting 8+ band in IELTS. The key features of our IELTS training are as follows which make RISE stand out. ✔ RISE is the only institution which has partnered with the most IELTS test conducting bodies such as British Council, IDP, Pearson and uses best of the authentic IELTS study material available from Cambridge, British Council and IDP. ✔	Counsellors at RISE help you select the right test for your overseas settlement/education need, the classes schedule, training duration and class timing options. ✔ You go through the lectures on Tips and strategies of each question types. Our trainers lay a very high emphasis on difficult sections such as writing section where most test takers face a challenge in scoring 7 or 8 band. ✔	There is easy administering of Mock tests which you can take anytime on any day. The team at RISE tracks your result in each mock test so that you exactly know where you stand. ✔ RISE provides unlimited practice and evaluation during your training. This unique feature helps you know your preparedness for the test and helps you decide when to book your IELTS Test date. 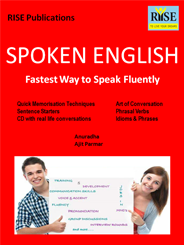 ✔ The study material and practice material are very comprehensive and cover each aspect of IELTS learning. 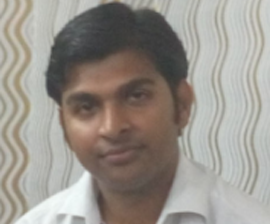 PTE Coaching in Gurgaon Pearson Test of English Academic (PTE Academic) or just called PTE is a standardized test of English having four sections as Speaking, Writing, Listening and Reading. Unlike IELTS, PTE test is a CBT (Computer Based Test). The scoring in PTE is also automated and thus eliminates human bias completely. One more key difference is that while IELTS has two formats viz. General and Academic, PTE Academic is a common test applicable for both Immigration and Study Abroad requirements. PTE is applicable for Immigration and Work Permit requirements in Australia, New Zealand and UK. It is accepted in all the universities in Australia and New Zealand and many Universities/Colleges in Canada, UK, US and other countries. It has been our experience that PTE is relatively easier to get higher scores than IELTS provided one takes a proper training and does thorough practice. The test takers must learn the test format, practise various question types to get used to the time restrictions etc and understand the Scoring pattern. Understanding the scoring parameters are as important as improving English communication skills as without a thorough understanding of the scoring parameters, one can score low in the test despite having good English. RISE has partnered with Pearson to develop a complete understand of the test format, content, scoring guide and evaluation criteria of each question types. We have the access to authentic practice exercises and mock tests which are a must for complete learning. PTE for Australia/New Zealand Immigration: There are two levels of test scoring: Proficient English when you get 65 and above score in each section (65 & above in Speaking, Writing, Listening and Reading) and Superior English when you get 79 & above in each section. PTE for Study Abroad: PTE has the acceptance in all the universities/colleges in Australia and New Zealand, and in many institutions in Canada, US and UK. Key Features of PTE Coaching by RISE: RISE has the best results in PTE preparation and consistently helps the students in getting 79+ score in PTE. Many of our participants even get the perfect score of 90/90. The key features of our training are as follows which make RISE as the best in PTE coaching in Gurgaon and other cities. ✔ RISE is the only institution which has partnered with the most IELTS test conducting bodies such as Pearson, British Council, IDP etc. 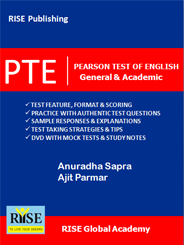 and uses best of the authentic PTE study material available from Pearson. ✔ Counsellors at RISE help you select the right combination of the classes schedule, training duration and class timing options. ✔ Our institution being the valued partner of Pearson enjoys frequent training inputs by Pearson team, our trainers have excellent English communication skills and are trained by us to help you get even up to 90/90 score in the test. ✔ You are taken through the lectures on Tips and strategies of each question types. Our trainers lay a very high emphasis on most challenging question types or the sections such as Reading where most learners face a challenge in scoring 80+ score. ✔ There is easy administering of PTE Mock tests which you can plan and take anytime on any day. PTE team at RISE tracks your result in each mock test so that you get to exactly know your preparedness level. ✔ RISE provides unlimited practice and evaluation during your training. This unique feature helps you know your level and helps you decide when to take a PTE test date. ✔ The study material and practice material are very comprehensive and cover each aspect of PTE learning.